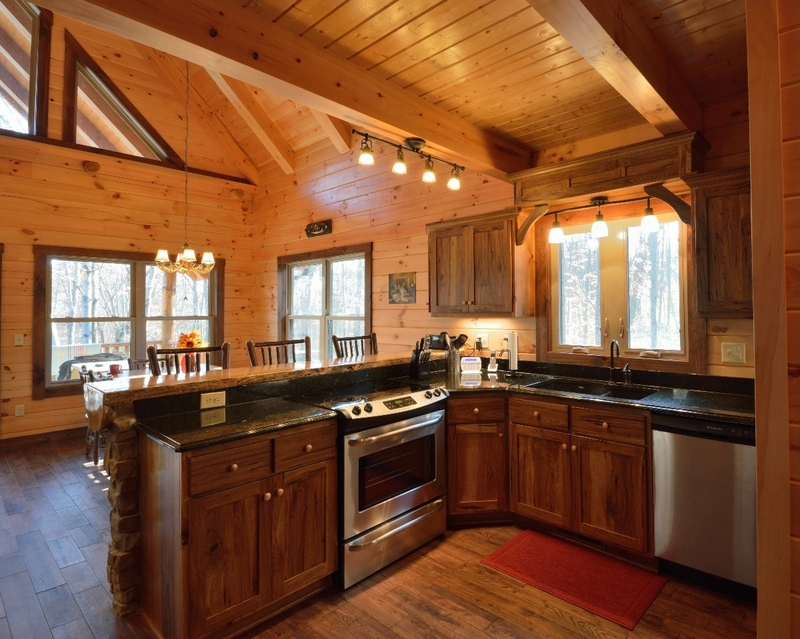 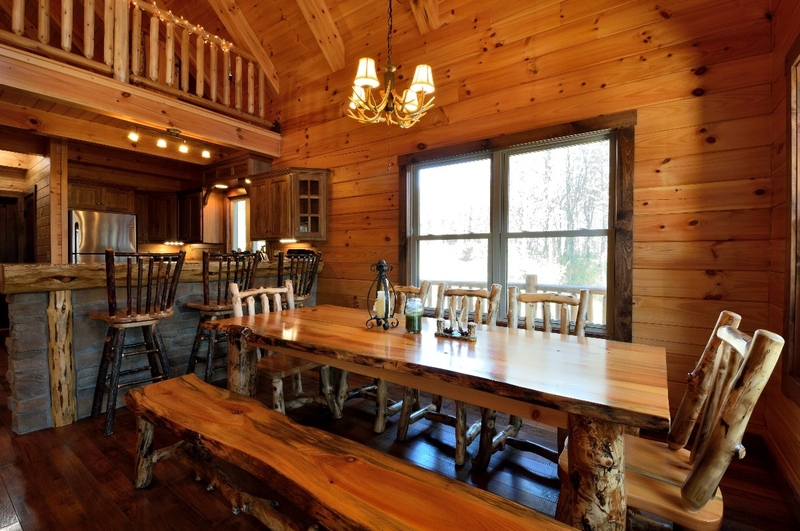 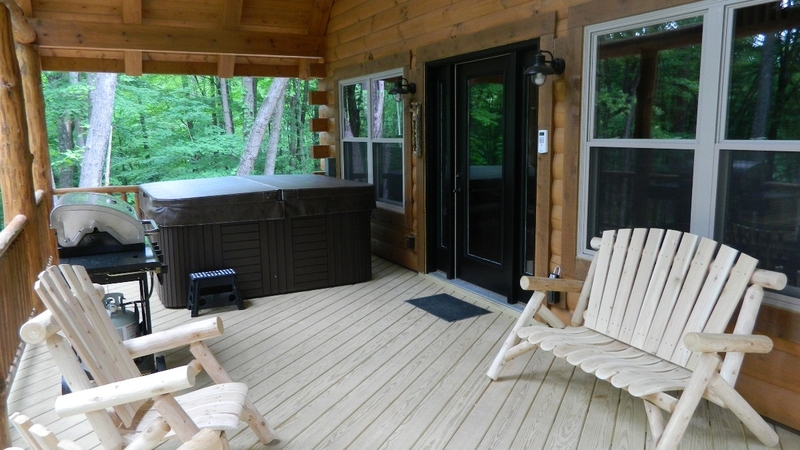 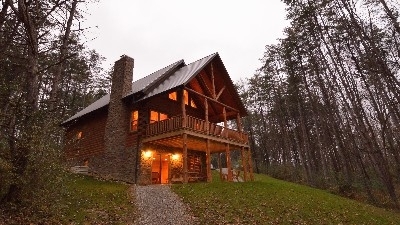 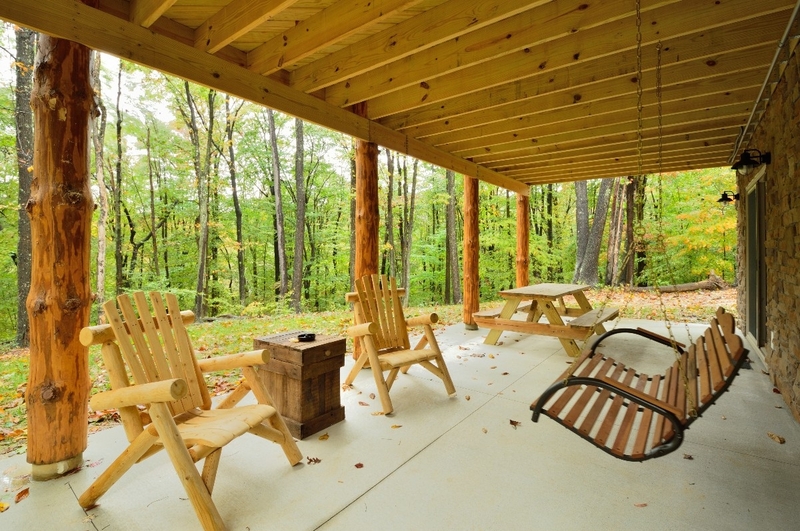 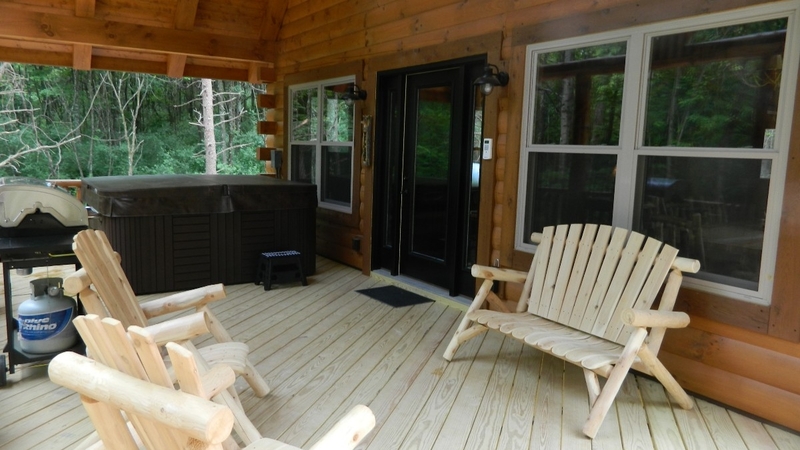 Trickle Creek at Hocking Hills offers luxury Amish built log cabins in secluded, private settings situated on nearly 200 acres of wooded, deep ravines. 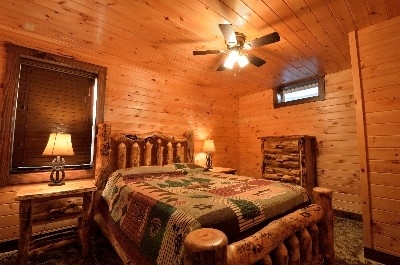 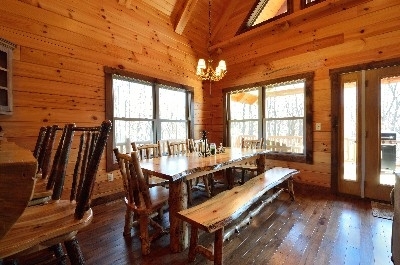 Each luxury log cabin consists of a great room with 22-1/2' tall ceilings, hand-hewn red pine center post taken from our own woods and stone fireplace, dining room with large Amish made 90 hickory dining room table that seats 8, master bedroom with a queen bed and a 2 person Jacuzzi tub Hannah's Hideaway and Christine's Chalet, guest bedroom with queen bed, a large loft with 2 queen beds and sitting area, 2 full baths, fully equipped kitchen with granite countertops and stainless steel appliances, finished/walkout basement with game room and TV room, large covered porch with hot tub and rocking chairs and an outdoor fire pit. 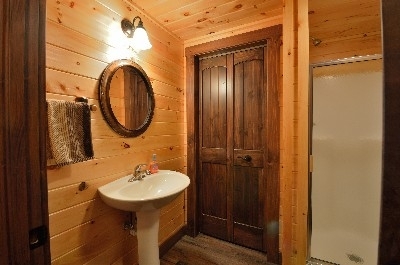 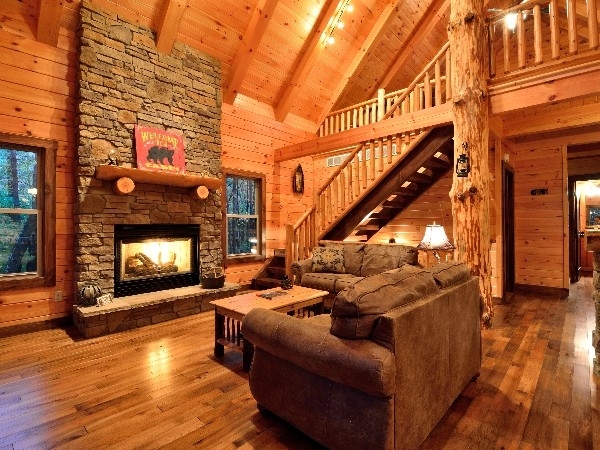 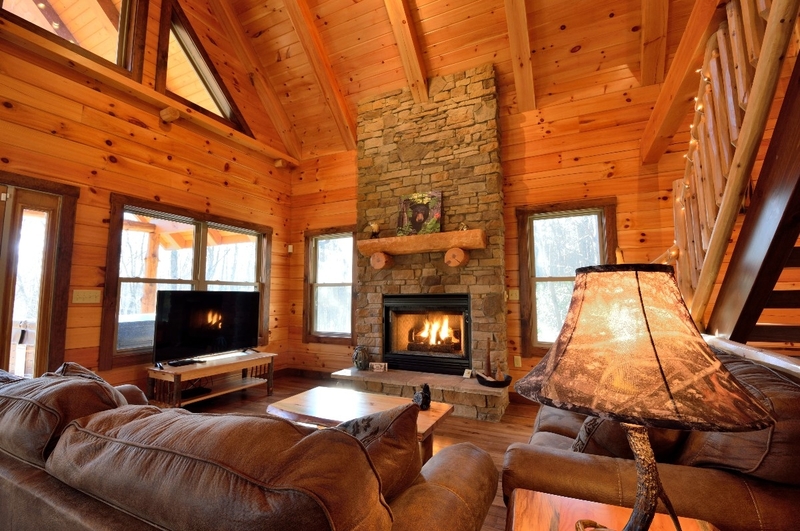 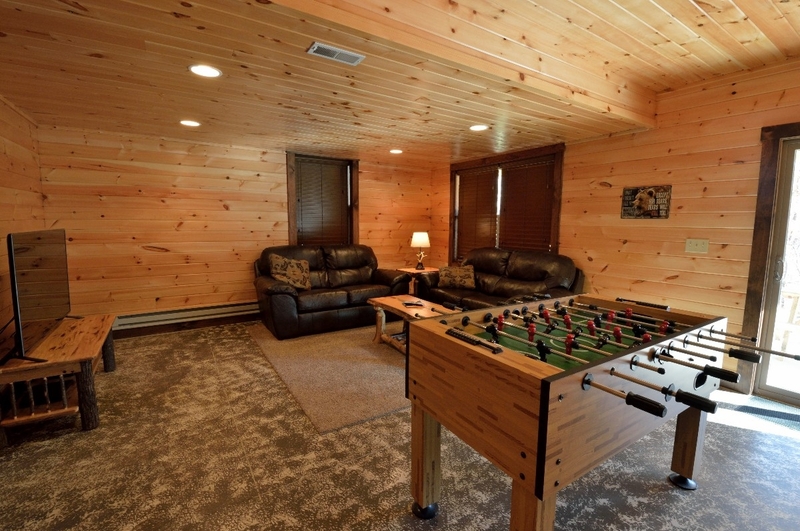 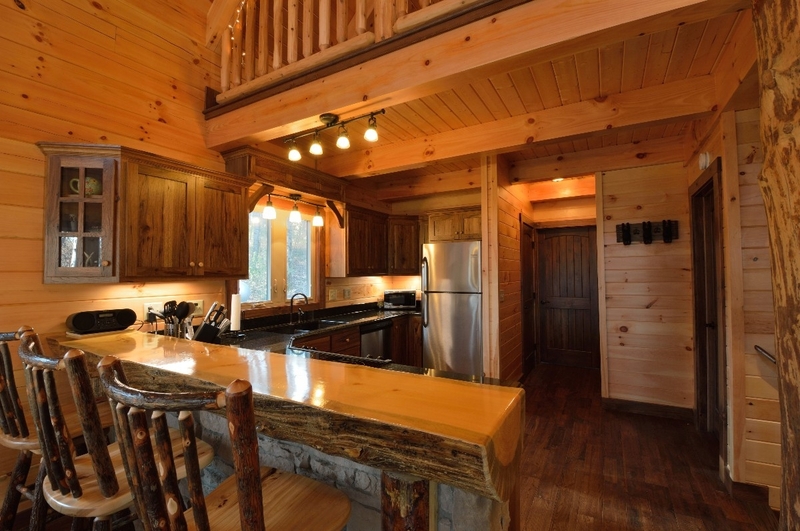 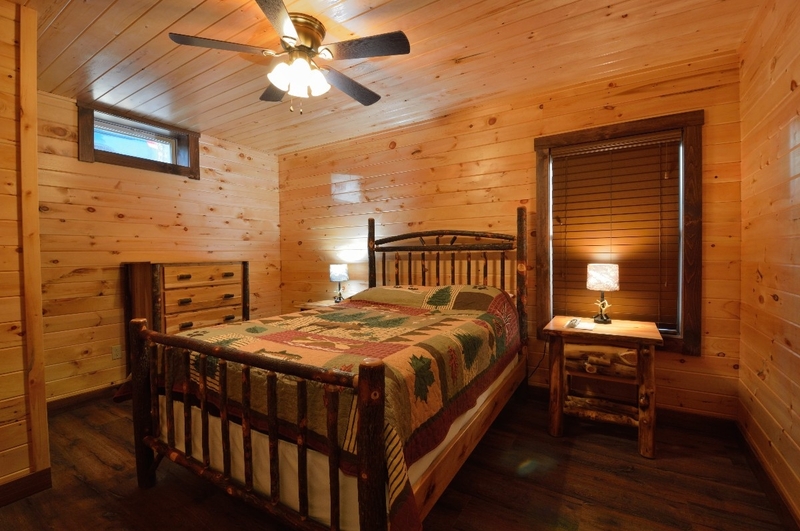 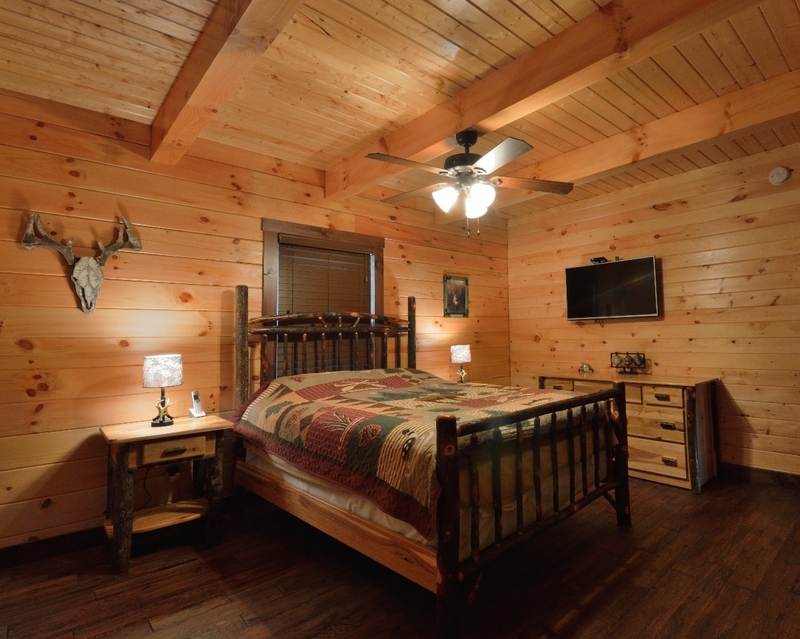 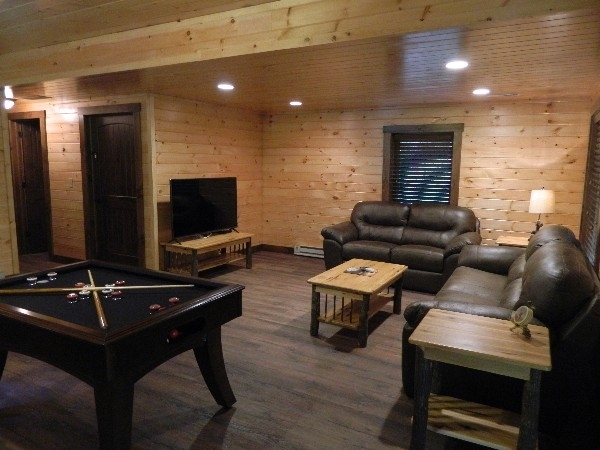 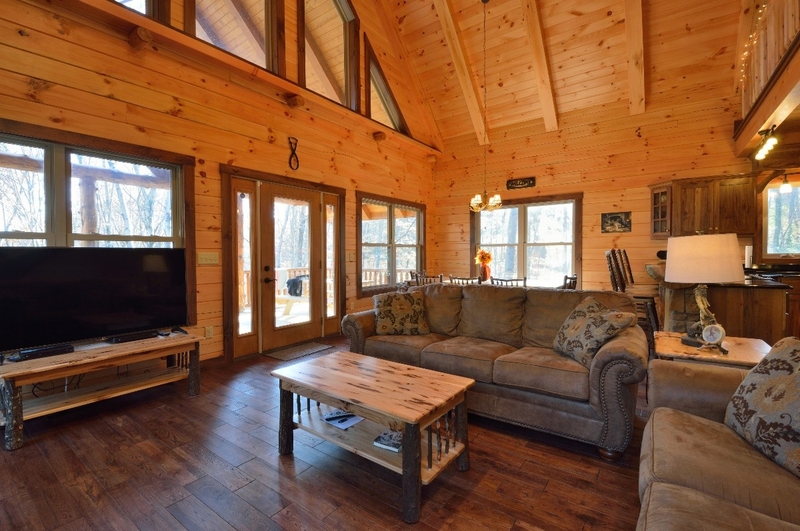 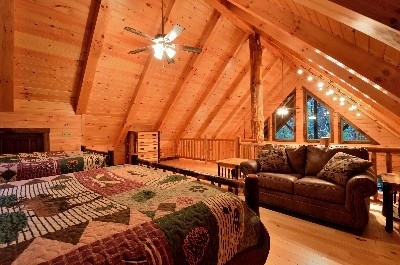 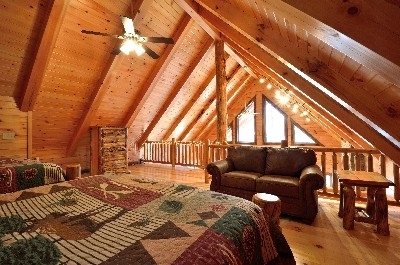 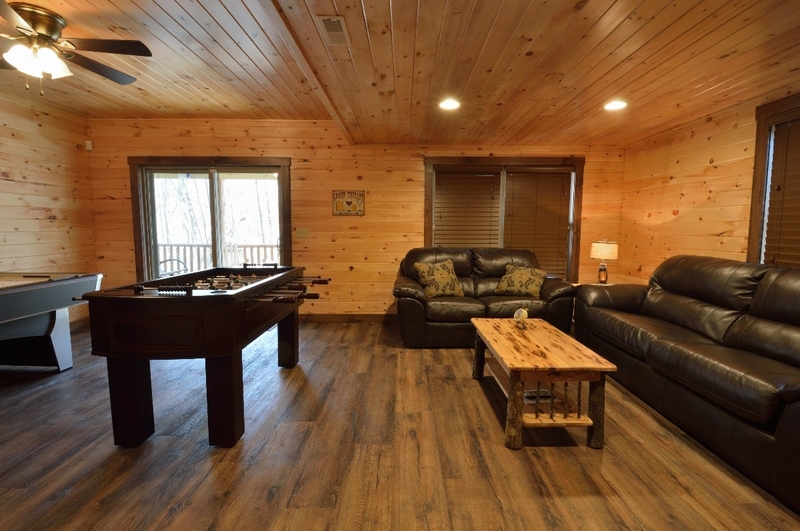 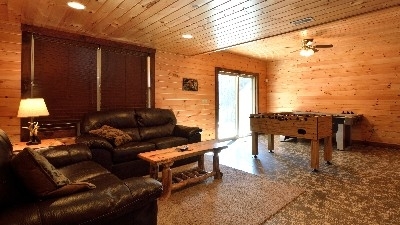 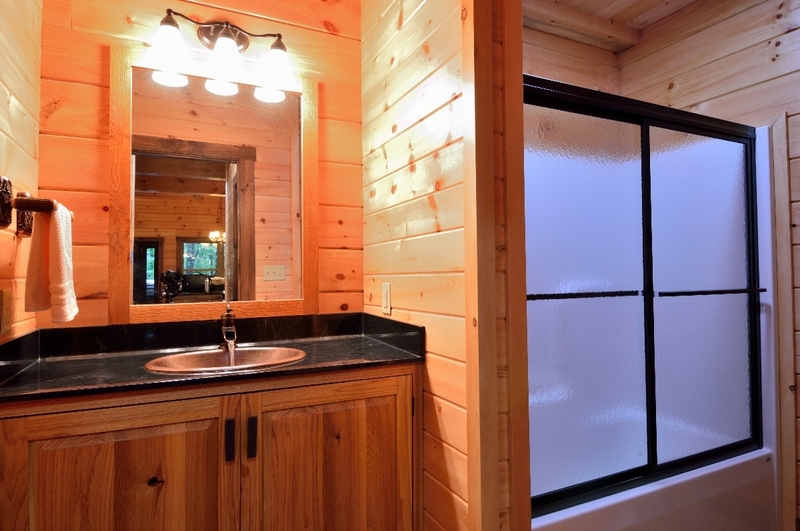 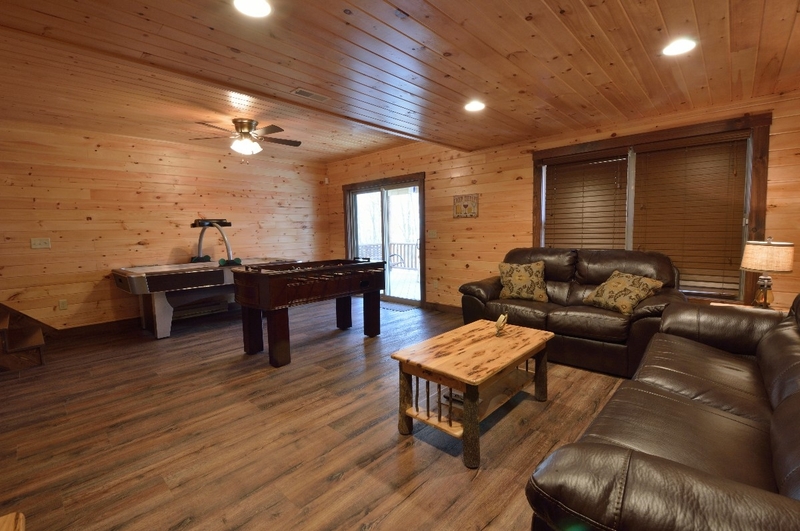 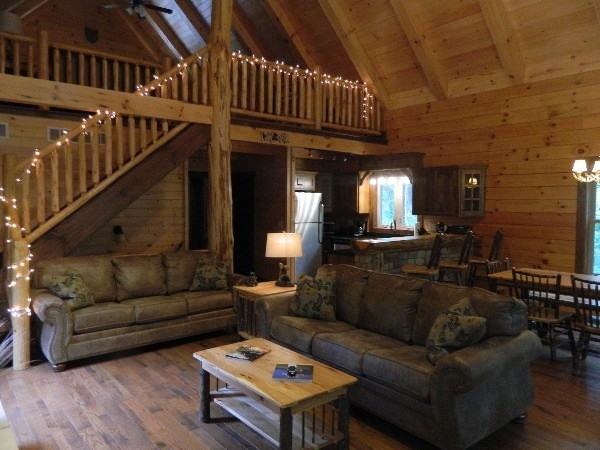 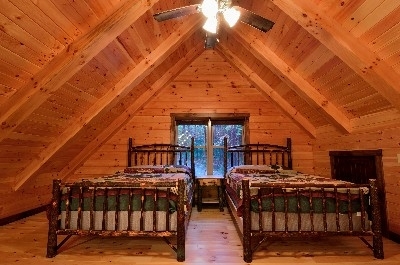 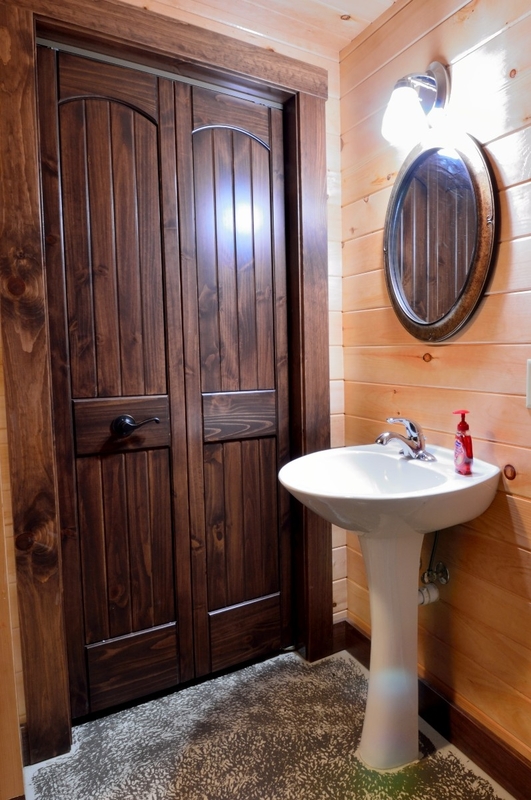 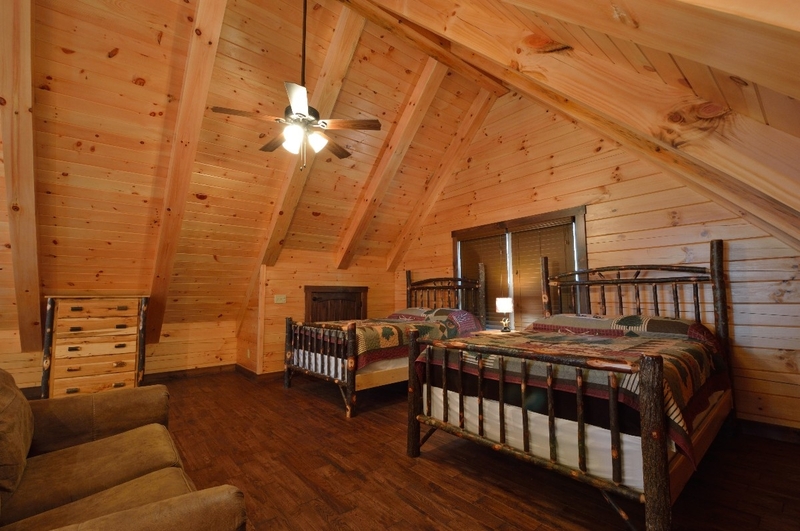 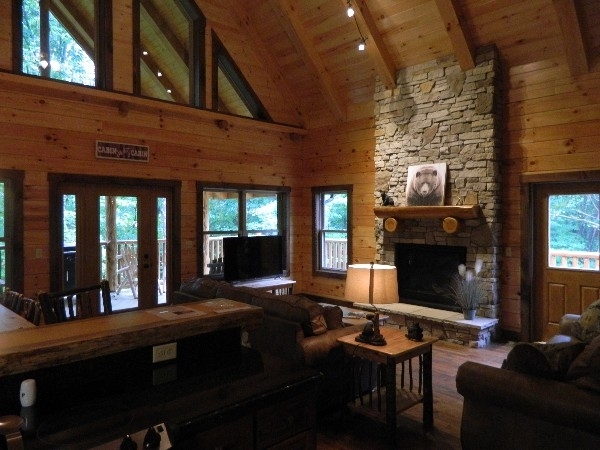 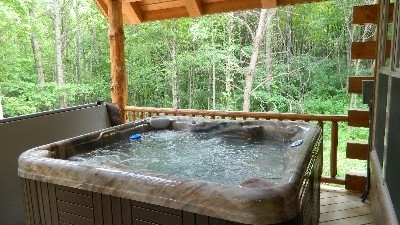 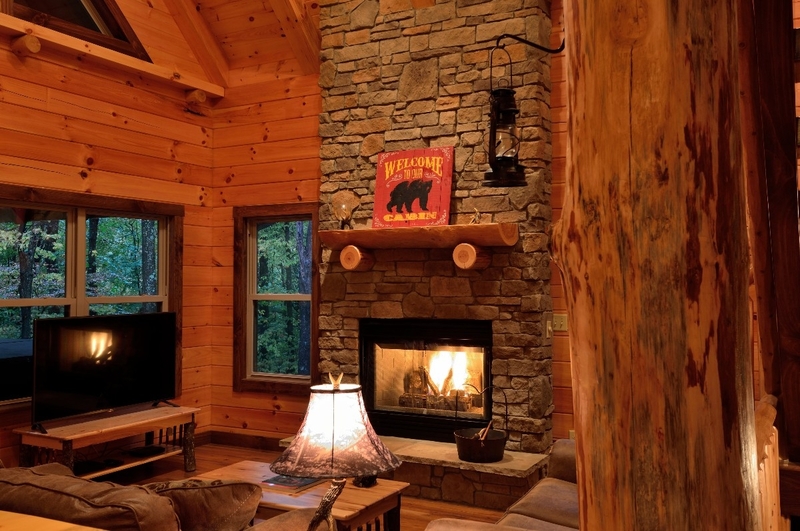 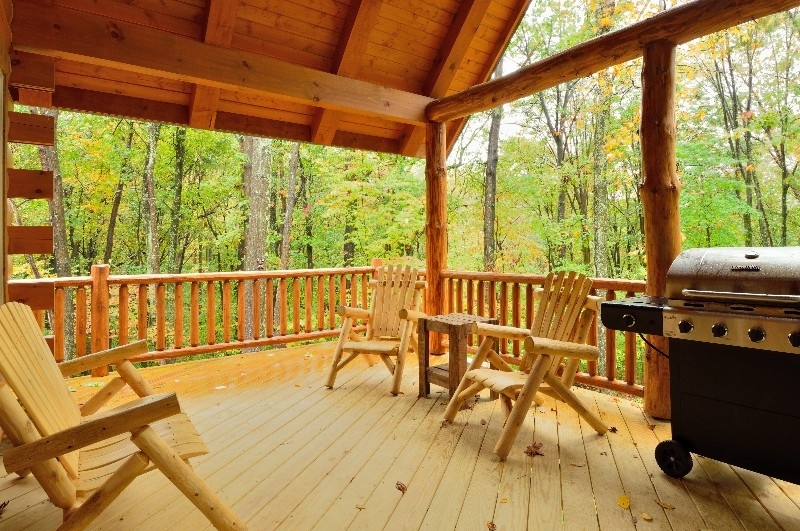 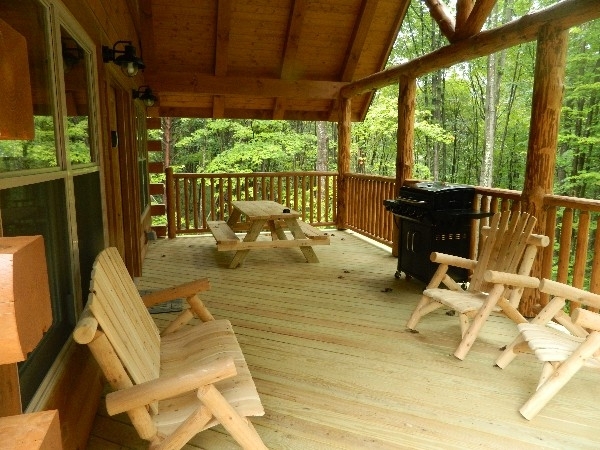 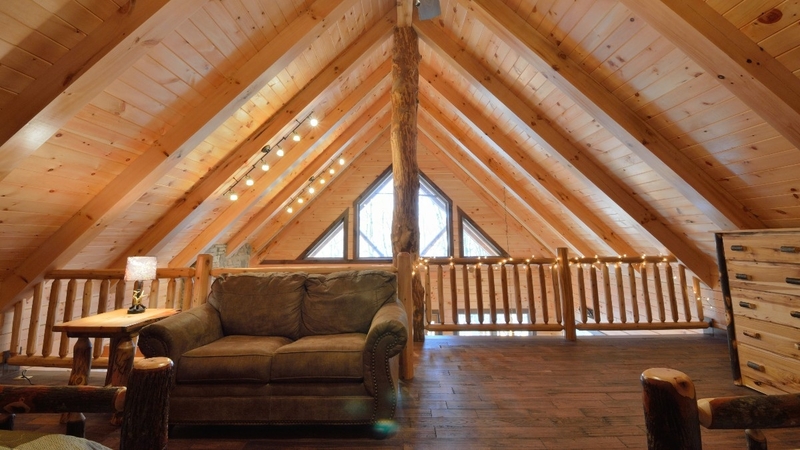 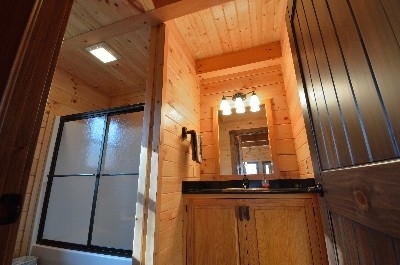 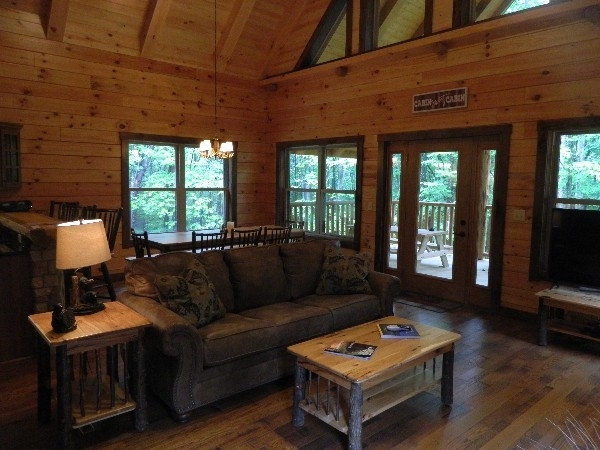 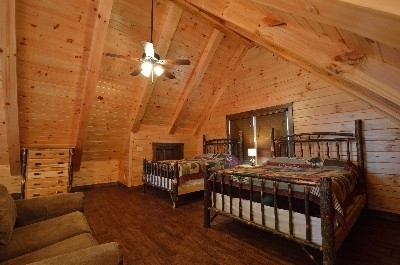 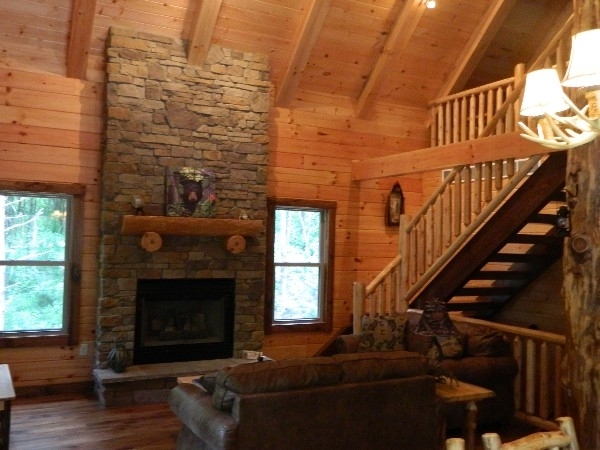 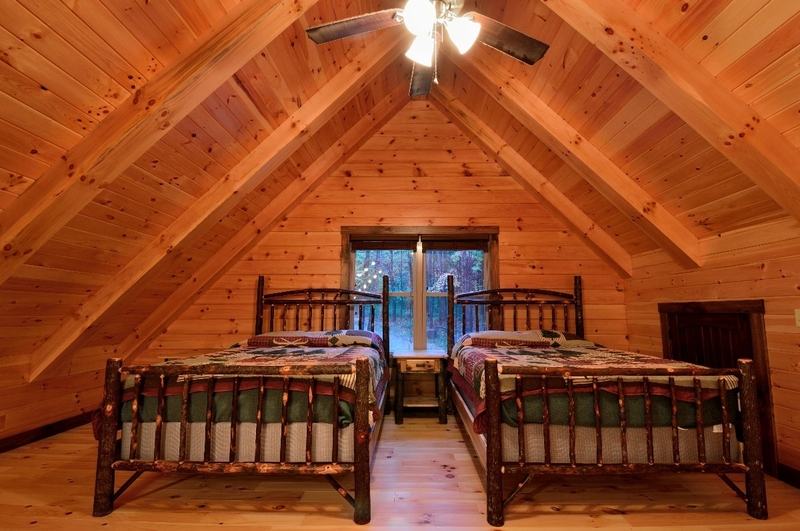 Cabins are equipped with satellite TV and Wi-Fi. 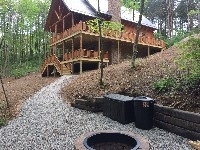 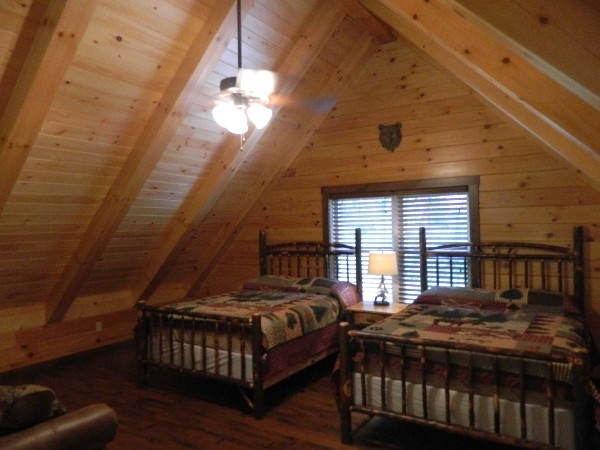 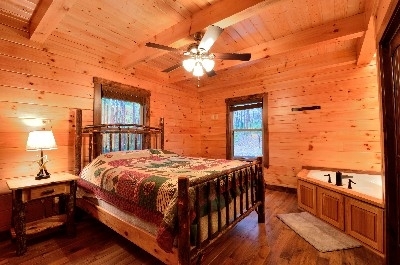 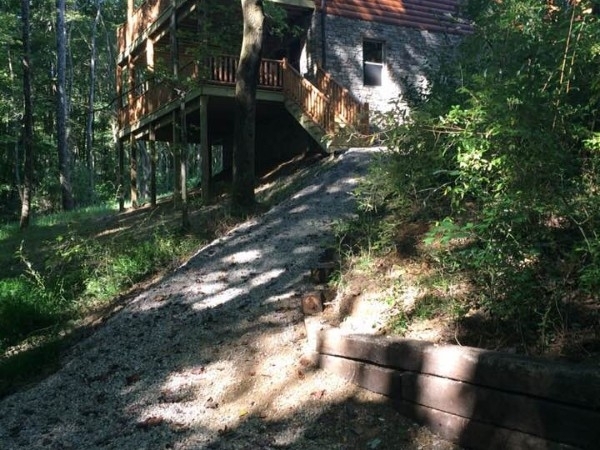 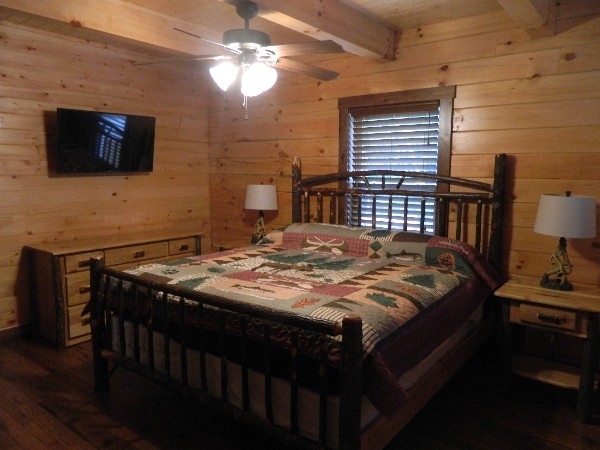 Amish-built cabin sleeps up to 8, includes hot tub, stone gas fireplace, large covered porches, granite countertops, outdoor fire ring, finished walk-out basement w/game room and TV room, loft w/2 queen beds, 2 bdrms w/queen beds, 2 full baths.